It's not uncommon for hypnotherapists to hear from their clients that they have got pregnant after years of trying when they came to hypnotherapy for something unrelated. Mark Tyrrell, co-founder of Hypnosis Downloads has had this happen several times, when he didn't know his client was trying for a baby. And reasearch has found that this is a repeatable phenomenon. 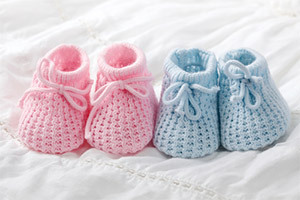 Research has shown that hypnosis for fertility doubles the success of IVF treatment. This research study of 185 women was presented to the European Society of Human Reproduction and Embryology conference in Berlin. The Israeli researchers aimed to discover whether hypnosis could make the embryo transfer stage of IVF more successful. During this stage, the embryo is transferred into the womb. However, if the womb is contracting, it can affect the chances of the transplant being a success. The research found that, indeed hypnosis did seem to greatly increase chances of becoming pregnant. 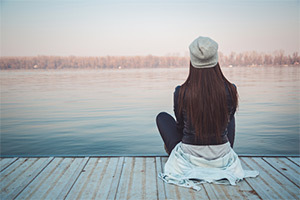 While this study is related specifically to IVF, it goes some way to explain the phenomenon of hypnotherapy clients getting pregnant when being treated for another issue. The reduction in stress appears to improve the chances of a pregnancy 'taking'. IVF fertility treatment tends to be a stressful time but stress can have a blocking effect on fertility success. This is why woman will often become pregnant at the very point they stop trying. The trying causes stress and prevents the very thing you are aiming to achieve. Getting pregnant needs to be allowed as much as forced. Sleep is a natural process of the body but it's when you stop trying to sleep that you are more likely to actually fall asleep. So it seems to be with pregnancy. This Hypnosis for Infertility session will do more than just diminish stress and get you relaxed. Your unconscious mind can directly affect the workings of your body through hypnotic suggestion. This happens when people are able to heal more quickly or be relieved of warts after being hypnotized. It's their unconscious mind that responds to the suggestions - this goes beyond the results of merely relaxing (as beneficial as these results are). Download Hypnosis for Infertility now and set the scene for pregnancy to happen naturally. You can listen on your computer or device or via our free app which you can access when you have completed your purchase. Hypnosis for Infertility has been purchased by 859 customers.